Chairman of the Tender Board. Chairman Public Authority for Electricity & Water. 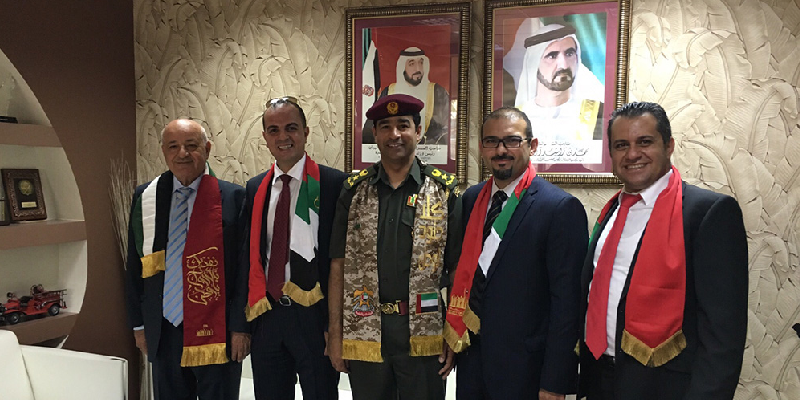 Bristol VMD handing over a Rapid Intervention vehicle to the CEO of ?Emirates Steel " HE Saeed Ghumran Al Romaithi ". This is the First RIV that Emirates steel purchased to protect their facility. 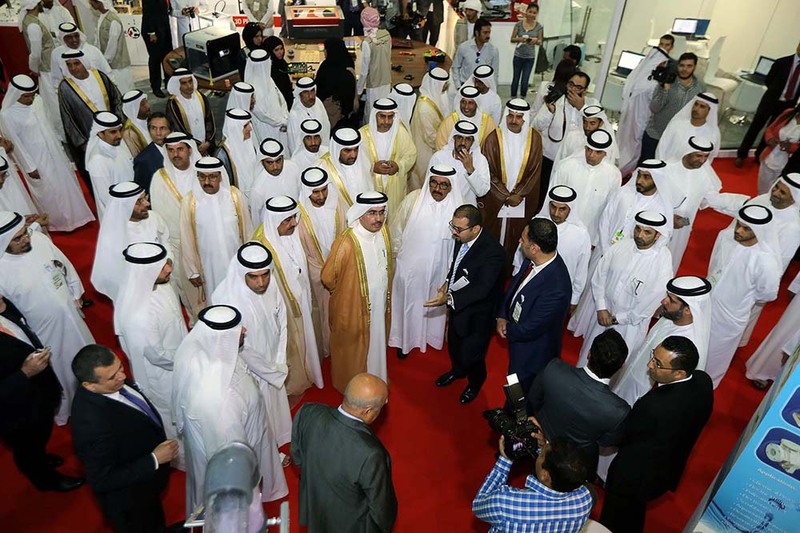 His Highness Sheikh Hamdan bin Rashid Al Maktoum (Deputy Ruler of Dubai, Finance Minister of the UAE, President of DEWA and Patron of WETEX) visited Corodex Stand during the first day of the exhibition April 21,2015. Orphans day hosted by civil Defense sponsored by Bristol Fire Engineering. 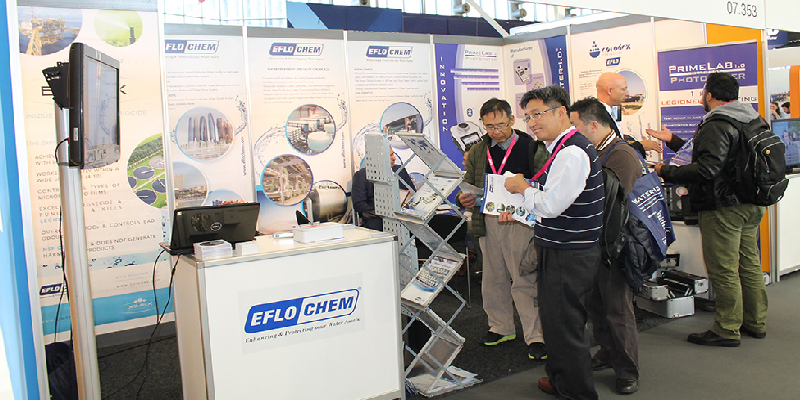 Eflochem presented the New EC Prime Lab as well as the Fuel and Lube Oil test Kits at Europort Instanbul Marine Exhibition . Iason , Amjad , Mohanned and Maree were present at exhibition . 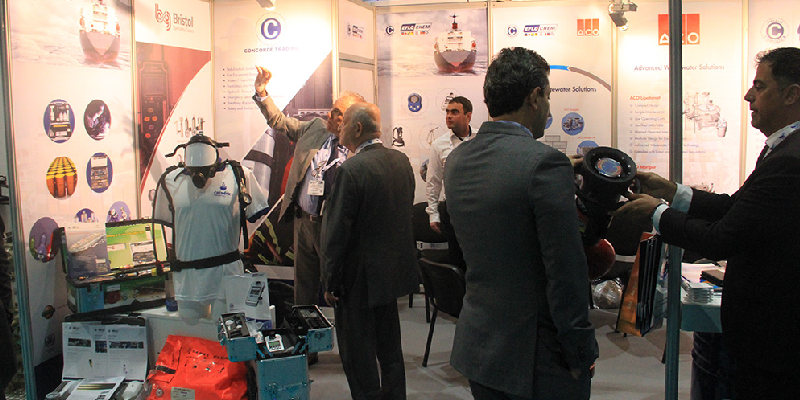 The sales marine agent AYT has given a welcome to all Corodex/ Eflochem in the show . First time Corodex Trading has won this prestigious award, ahead of almost 25 other suppliers who were in the running. 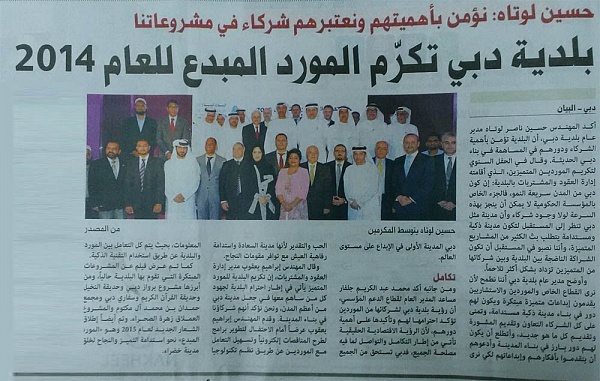 Corodex Trading was awarded the prestigious Distinguished Supplier of the Year 2015 at Dubai Municipality's Creative Suppliers 2015 event at the Radisson Blue Dubai Creek Hotel yesterday. 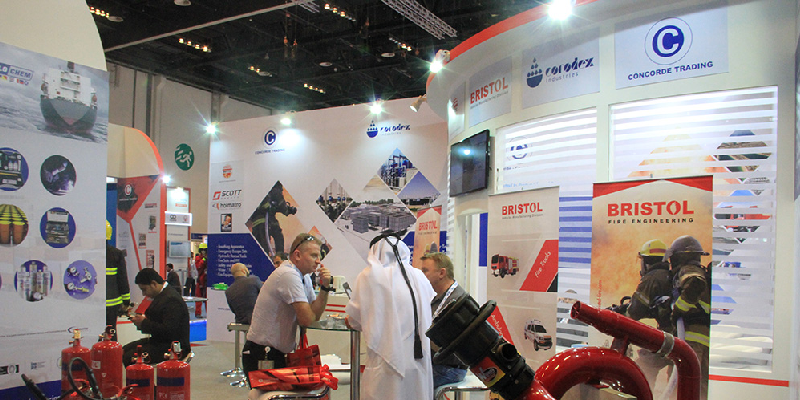 Corodex was up against almost 25 other suppliers for the accolade, and this is the first time they have been awarded. - Eric LaVergne was speaker for Williams In the program of the Forum.